Offaly students Andrea Tesarova and Thomas Britten were among the 125 students from across the island of Ireland awarded a 2018 All Ireland Scholarship last weekend, granting them full academic financial support for the duration of their third level studies by sponsor, JP McManus. Andrea, from Banagher College, and Thomas, from Killina Presentation Secondary School, were among the winners commended for their achievements at a ceremony in University of Limerick by guest of honour, Limerick Senior Hurling Manager John Kiely. 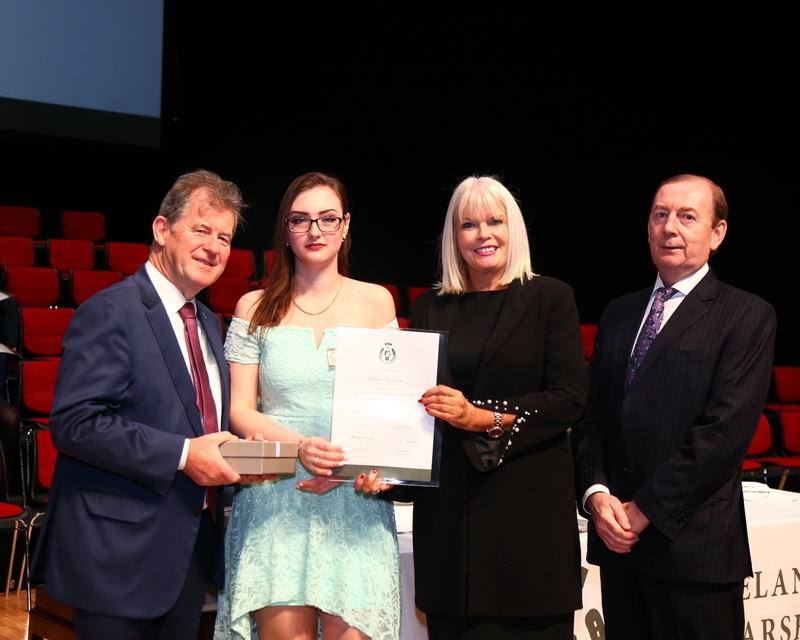 Minister of State for Higher Education, Mary Mitchell O’Connor TD and the Permanent Secretary at the Department for the Economy, Northern Ireland, Noel Lavery presented the scholarship certificates to the students. The programme is administered by the Department of Education & Skills and the Department for the Economy with support from the Department of Education, Northern Ireland. To date, 1,371 students have been awarded an All Ireland Scholarship. Previous Guests of Honour have included Irish Presidents Michael D. Higgins and Mary McAleese, 42nd President of the United States, Bill Clinton, and sporting heroes AP McCoy, Paul O’Connell and Martin O’Neill.